Helping you be your most fearless self in work and life, Libby Gill guides your group of emerging and established women leaders to challenge limiting assumptions, take bold risks, and support each other on their journey to success. She looks at issues we continue to struggle with, despite our growth and gains, including career advancement, wage inequality, gender bias, and work/life balance. In her dynamic interactive keynote, Libby shares leadership strategies as well as scientific data on hope theory to show participants how to link beliefs and behaviors to create a powerful future-focused vision. They’ll leave your event feeling renewed purpose, recharged passion, and reinvigorated commitment to excellence. The former head of communications for Sony, Universal, and Turner Broadcasting, Libby is the CEO of Libby Gill & Company, an executive coaching and consulting firm. She has been featured on CNN, NPR, the Today Show, and in BusinessWeek, The New York Times, Wall Street Journal, and more. 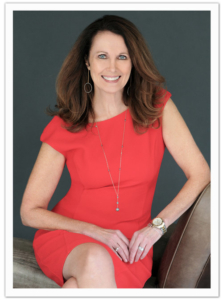 Libby has delivered keynote presentations for women’s leadership events including ADP, AMC Networks, EY, Genentech, Intel, Microsoft, Safeway, Urenco Nuclear, Wells Fargo, Viacom, Zurich Insurance, and many others. 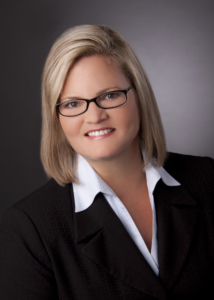 Tammy Heermann is a sought-after advisor who helps individuals and organizations get serious about leadership. She has developed pioneering and multiple award-winning programs aimed at changing mindsets to achieve high performance. Passionate about advancing female leaders, she is specifically sought out by Fortune 500 companies for her expertise in gender diversity and programs that accelerate female talent around the world. While having significant impact in the C-Suite, she is happiest when pushing up-and-coming leaders to break through organizational and self-imposed barriers to reach their potential. With real-world stories of her own journey from Senior Consultant to Senior Vice-President, people express the value of Tammy’s down to earth, practical style in creating an environment of trust in a room of strangers. Tammy sits on the Women’s Leadership Advisory Committee for Women in Communications and Technology. She is a graduate of the London School of Economics with a Master of Science degree in Personnel Management and Industrial Relations and holds an Honours Bachelor of Commerce degree from the University of Saskatchewan. She lives in Toronto with her daughter Ava and husband Thomas. Christina Zorn, J.D., began her service as Vice Chair of Administration, Mayo Clinic, and CAO of Mayo Clinic in Florida in 2015. In addition to her leadership and oversight of Mayo Clinic in Florida, Ms. Zorn provides oversight for Information Technology, Information Security, Planning Services and Enterprise Analytics across Mayo Clinic’s national enterprise. Ms. Zorn began her career at Mayo in 2002 as a legal counsel. In 2009, she was named Chair of the Florida Division of Mayo Clinic’s Legal Department. Ms. Zorn is the secretary of the Executive Operations Team of the Florida campus, and serves on the enterprise Management Team of Mayo Clinic. Ms. Zorn earned her Bachelor of Science in Zoology from the University of Wisconsin and received her Juris Doctor degree from Creighton University School of Law. Prior to joining Mayo Clinic, she practiced with the law firm Foley & Lardner, focusing on health care and transactional law. Ms. Zorn is a member of the American Association of Corporate Counsel, the American Health Lawyers Association, and the Florida Hospital Association. She serves on the Board of Trustees at the Bolles School and the Board of Allevant Solutions, LLC. She, her husband and daughter live in Jacksonville, Florida. Brian E. Wolfburg currently serves as the President/CEO of VyStar Credit Union. Prior to joining VyStar on October 31, 2017, Mr. Wolfburg was the Chief Operations Officer for Alaska USA Federal Credit Union, based in Anchorage, Alaska. 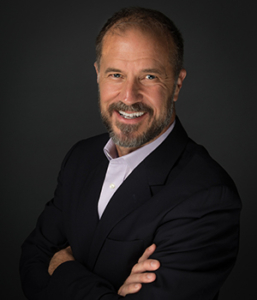 Mr. Wolfburg has over twenty years of experience and leadership as a Senior Executive in the credit union and diversified financial services industry, as well as entrepreneurial and non-profit sectors. Mr. Wolfburg believes in being very involved in the communities in which he lives and works. 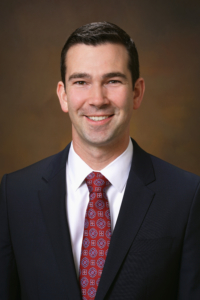 Since moving his family to Jacksonville, he has joined the boards of and or taken leadership positions in the Jacksonville Chamber, JAXUSAs Military Affairs Committee and the NASCUS Credit Union Advisory Board. During his time in Anchorage, Alaska, he was a Board member for the Anchorage Concert Association, the Covenant House, and Habitat for Humanity. He had previously been on the boards of the Broadway Center for Performing Arts and Human Society in Tacoma, Washington, the Salvation Army, and American Heart Association in Buffalo, New York. He has been an active volunteer for the ArtsFund, Humane Society, Jr. Achievement, March of Dimes, and Pride Foundation, and served as a guest Teacher at Pacific Lutheran University, Banking/Finance classes. Mr. Wolfburg performed his undergraduate studies at Georgetown University, Vanderbilt University and the State University of New York at Buffalo, ultimately graduating from State University of New York at Buffalo with a B.S. Business Administration, in January 1999. Mr. Wolfburg went on to achieve a Master of Business Administration from New York University – Stern School of Management in May 2011. Ann Meyers, a proven technical project leader at Johnson & Johnson Vision, Inc. for over 20 years, collaborates with cross-functional teams to successfully launch new contact lens products and processes from research to large scale manufacturing. Ann and her team ensure product and process relationships, drive resolution of technical challenges, develop capabilities and technologies for process development, and ensure process strategies and validation deliverables are maintained through scale up and product launch. She cross-functionally aligns across the organization to establish a set of working guidelines for new product development teams providing roles and responsibilities, structure and communication channels amongst the teams and with project stakeholders through the product development cycle. She has brought to launch well-recognized and trusted brands such as 1•DAY ACUVUE® MOIST, 1•DAY ACUVUE® MOIST Multifocal and1•DAY ACUVUE® DEFINE® with Lacreon. 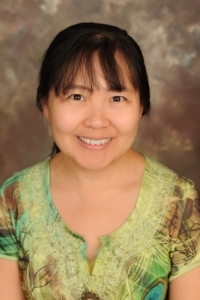 Ann has been recognized with numerous J&J Leadership awards and authored several patents. She holds a Bachelor of Science and Master of Science in Chemical Engineering and a Certification in Biomedical Engineering from the University of South Florida. In her spare time, Ann is active in the community and J&J Diversity & Inclusion groups, with leadership roles in the employee resource groups, and one of the founding board members of the Night of ASIA. She loves to travel with her husband and 2 young sons. She co-founded the local dragon boat team, J&J SEE-DRAGONS, which has won the Corporate Championship Cup at the Jacksonville Dragon Boat Festival 4 years running. She is an active dragon boater, amateur ballroom dancer with her husband, and novice fencer. Dave Dallas brings over 35 years of leadership experience in sales, recruiting, and corporate operations to SunteckTTS. Previously, he was with Landstar Transportation Logistics, serving as Vice President of International, Expedited, LTL and Power Only. Before that, he was President of TransMarkets Technologies, Regional Vice President for Landstar Express America, Regional Sales Manager with Roberts Express, and Director of Sales and Marketing for Towne Air Freight. Dave spent 10 years in the U.S. Navy, where he was responsible for recruiting and training. In 1991, he received the Navy Achievement Medal awarded by the Secretary of the Navy. Jared is the CEO of Superfit Foods and E3. Superfit Foods is a healthy, subscription based, fully-customizable meal prep company. E3 is a consulting agency designed to help other businesses create long-lasting, positive, and sustainable success through a healthy workplace, sound management and leadership strategies, and effective marketing. His mission in life is to encourage, educate and empower others to live a fulfilling and impact life. 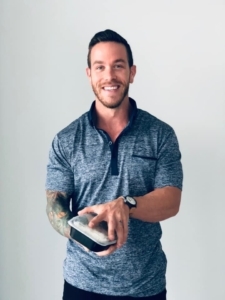 Jared is a NASM Certified Personal Trainer, Fitness Nutrition Specialist, Behavioral Change Specialist and Corrective Exercise Specialist with an education in Marketing & Psychology from the University of North Florida. He’s exhibited Superfit Foods at Forbes Under 30 and presented a TEDx Talk on Nutrition and Mental Health. Dr. Greene is the Superintendent of Duval County Public Schools, the 20th largest school district in the nation, and serves 130,000 students within 200 schools and manages $1.7 billion-dollar budget. Prior to her work in Duval County, she was the Superintendent of the School District of Manatee County, where she made significant strides forward academically, financially, and in terms of its public perception. Known for her positive nature and engaging personality, Dr. Greene initiated her time as Superintendent in Manatee County by putting forward a leadership plan that consisted of what she named the Five C’s: Calmness, Consistency, Civility, Confidence and Community. Leading by example, Dr. Greene has overseen a district that has improved academically to the point that it received a B grade from the state two of the last three years (2015, 2017), after receiving a C grade the previous three years, even in the face of more rigorous standards. In addition, the Manatee District’s graduation rate rose 5.6% during the 2015-2016 school year, and was 2.8% higher than the statewide graduation rate. Prior to becoming Superintendent, Dr. Greene served as Deputy Superintendent of Instructional Services in Manatee County. During her 33-year career as an educator, she has spent time as a teacher, assistant principal, principal as well as in curriculum development, staff development and in senior executive leadership. On a personal note, Dr. Greene is the daughter of a father who served in the Air Force, and she grew up living in locations all over the United States and abroad. She is married to James Greene, an independent financial advisor, and they have two sons, Aldon and Joshua. Kerri Stewart joined JEA as Chief Customer Officer in 2017. She brings over 14 years of experience to JEA. 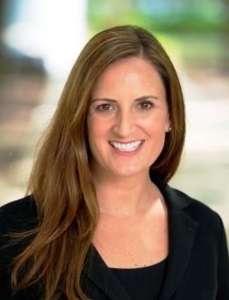 Previously, Kerri served as Chief of Staff for Mayor Lenny Curry in Jacksonville, Florida. In this role, she provided policy and public affairs guidance to the mayor. 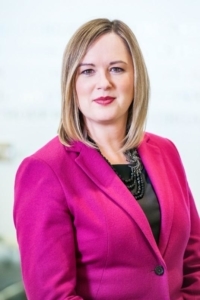 Prior to returning to the City of Jacksonville, Kerri Stewart was a Partner and Senior Vice President at Infinity Global Solutions. Drawing on her extensive experience in both the public and private sectors, she focused on assisting clients in the areas of government privatization, public infrastructure development, general management consulting and government relations. Ms. Stewart served interim president of Visit Jacksonville, Local Initiative Support Corporation (LISC) and Cultural Council of Greater Jacksonville as a part of her management consulting practice. Prior to joining IGS, Ms. Stewart served as the Chief Administrative Officer for the City of Jacksonville/Duval County, Fla., under Mayor John Peyton and Mayor Alvin Brown. In this role, she oversaw day-to-day government operations for the city, including directing a nearly 5,000-member workforce and managing the $1 billion municipal budget and $164 million annual capital improvement plan. During her first tenure with the City of Jacksonville, Ms. Stewart led several successful privatization studies and implementations. She has shared her experiences in this area at a variety of conferences and other professional venues. During her years of public service, Ms. Stewart also served as director of the city’s Housing and Neighborhoods Department, created the Office of Operational Efficiency (which later became the Inspector General’s Office), and served as a Policy Advisor to Mayor Peyton. 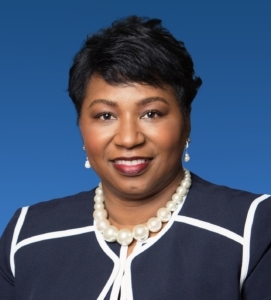 Prior to joining the City of Jacksonville, Ms. Stewart worked as a Program Manager for Alltel Information Systems in Leeds, UK and Jacksonville, Fla. She was a part of the program management team that worked for two years to migrate Bradford and Bingley Building Society’s mortgage processing software to Alltel’s solution. Ms. Stewart graduated from the University of North Florida’s Coggin School of Business with a Bachelor’s degree in Business Administration, double-majoring in Marketing and Management. 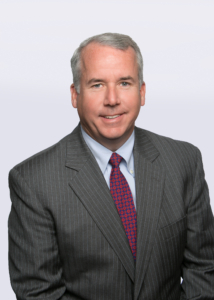 Brian Fay assumed the role of Head of Deutsche Bank Jacksonville in 2017 after leading Technology and Operations teams in Jacksonville since 2014. Brian relocated to Jacksonville from New York in 2014 with his family to take on the Operations leadership position, which expanded to include Technology in 2015. Brian has worked in the financial industry for more than 25 years. Brian joined Bankers Trust in 1992, which was subsequently taken over by DB in 1999, holding many roles within the Operations, Finance and Internal Audit group. His career with the bank includes four years in Germany where he led the Regional Global Markets Controlling team from 2001 to 2005. Prior to joining Bankers Trust, he was a Senior Auditor at Ernst & Young, LLP. Brian holds a Bachelor of Science in Accounting from St. Francis College, and a Masters in Business Administration from Columbia University.